On the 15th November 2013, the world witnessed a dramatic alteration to China’s one-child policy. The new plan emerged from resolutions decided upon at the Communist Party’s Central Committee’s third plenum. Held in Beijing, it was concluded that couples in China could now have two children if only one of the parents were only children themselves. This provides a welcome change to the suppressive child policy that has been imposed on China for over thirty years. The one-child policy was brought into legislation in the late 1970s to tackle a rapidly growing Chinese population. This policy allowed for couples to only have one child. Concessions however were made in following years. In the mid 1980’s, amid a backdrop of violent protests against the Chinese Government, the policy was altered to allow for rural couples to have another child if their first born was female. As well as that, it was later decided that couples who were both without siblings could raise two children. Therefore this new change of child policy will primarily affect urban dwellers, making it is a significant landmark in urban family planning in China. With nearly 1.4 billion people, China is the world’s most populous country. Due to the one-child policy, the Government has claimed that 400 million births have been averted since 1980. This is an incredible number. It demonstrates the dedication of the Chinese Government to control and reduce the country’s population. However, many argue the credibility of this number and consequentially China’s successful role in Global population control. Comparisons are drawn by newspapers such as the New York Times to countries that had equal to or higher birth rates than China in 1970. Between these countries, an average birth-rate was held that dropped to 22 per thousand in 1998 from 35.6 per thousand in 1970. China’s birth-rate dropped to 15.6 per thousand in 1998 from 33.4 per thousand in 1970. Although China’s birth-rate significantly declined through the costly policy, it is suggested by some sources that the Chinese birth-rate would also have reduced, though not to as large an extent. The control of China’s populace has obviously resulted in a clear imbalance between the elderly and the aspiring youth. The policy since 1970 has resulted in today’s aging population in China. The main arguments for alterations to the one-child policy include the severe lack of young, fit workers in China and a simultaneous abundance of aging veteran workers. The control of China’s populace has obviously resulted in a clear imbalance between the elderly and the aspiring youth. Social and supportive factors are also important here. China has experienced a bizarre breakdown in social relations; there is a shortage of Chinese sons and daughters in relation to their parents, subsequently reducing the amount of physical and emotional support offered by children towards their aging mothers and fathers. The Chinese have made enormous social and emotional sacrifices for the good of the nation’s populace. This new concession is well deserved. For over 20 years, fertility levels in China have been extremely low and below the level of replacement (the level of adults having enough children to replace themselves). The 2010 census in Shanghai found a fertility level of 0.7, which is one third of the replacement level. 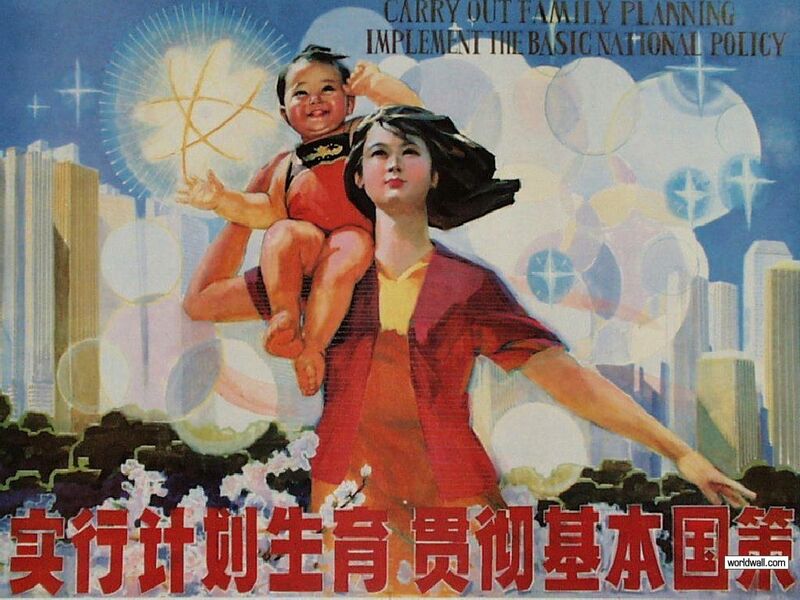 Interestingly a senior official from the Chinese Government, days following this announcement, has claimed that China will eventually rid of family planning restrictions. This is an ambitious and radical change of direction in Chinese populace control. It’s important to look at how exactly China plan on introducing these initial changes first before thinking about a drastically altered future regarding population. A time frame was not given at the Third Plenum, but it was announced that Provincial Legislatures would first write the new policy into law. The decision remains with these provincial Governments on when to commence the scheme; a choice that will be based on local population conditions. Not all Chinese couples will experience the new policy in the near future. According to the Deputy Director of the National Health and Family Planning Commission a population explosion with large effects on public services is possible if the new policy is overused in the country. Therefore it is clear that this new element of family planning policy is to be gradually established into Chinese society. A non-restrictive society for families in China still seems to be a long way off. The response to this new child policy in China has been mixed. Many Chinese people are excited by the prospect of having greater freedom over their family planning. In contrast, others remain cautious over the raising of a second child due to increasing child-rearing costs in China. In the days following the announcement of child policy reform, on the basis that demand would increase rapidly, shares of nappy, piano and baby formula manufacturers rose. Meanwhile, Chinese condom producer Humanwell Healthcare Group dropped in shares. The future, at least with regards to more freedom for family planning among parents who had no siblings, looks bright in China. There has been no sign of a resistance from any of the Chinese provinces. It is also estimated that one million more babies will now be born each year in the country. However, whether or not that figure comes to fruition is another matter; there is also the argument that some Chinese people will not want a second child because of years of indoctrination. As well as that, some of those who really wanted another child have already achieved this through illegal means. The most important thing to conclude here is that China has at least commenced an effort to bring to a cessation an important element of the one-child policy that has controlled its populace for the best part of thirty years. The speed with which it implements this change and moves towards full eradication of child control is a matter which remains to be seen.